The Principal of St Anne’s College, Helen King, will be visiting Japan in early April and there will be a drinks reception for all alumnae and those with an affiliation to the College on Wednesday 4 April from 6pm – 7:30pm in central Tokyo. Invitations are being sent directly from the College and therefore please contact them directly (development@st-annes.ox.ac.uk) if you have not received yours yet. 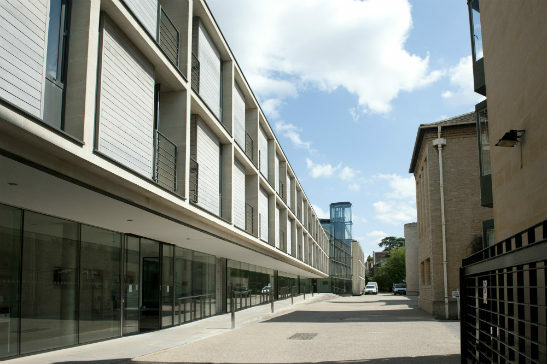 St Anne’s College is one of the largest colleges in Oxford with 446 undergraduates and 300 graduates, and Fellows with research interests across all a wide spectrum of fields. The College originally came into being in order to help young women to more easily obtain a degree in Victorian Oxford, by allowing them to live in lodgings throughout the city rather than in a traditional college. It became a full College in 1952. The College strongly values its original ethos of trying to particularly encourage to the University those who otherwise would not have had access, and takes pride in its down-to-earth, friendly and independent-minded atmosphere. Helen King read PPE (Politics, Philosophy and Economics) at St Anne’s College before embarking on a career in the police service, first as a uniformed officer and eventually as Assistant Commissioner in the Metropolitan Police Service. She became Principal of St Anne’s in April 2017. Professor Alexander Betts will give a lecture on Monday 26 February looking at the issue of refugees and how we can create better long-term solutions to help those displaced from their homes because of conflict or persecution. Professor Roger Goodman will be giving the next lecture in our 'Inside Oxford' series on Thursday 22 March. He will talk about how Oxford restructured for the twenty-first century and its implications for colleges.